What can I send to Finland? What items are restricted? On some occasions Finnish customs will request a c.20 Euro + VAT personal effects clearance fee is paid before your shipment can be delivered. Whether you’re heading to Helsinki for an extended city break to do a spot of shopping or you’re planning a trip to see the sights of Northern Finland and participate in a few winter sports, there’s always the possibility that your luggage might be overweight, outsized or difficult to take with you. Fitting everything you need into a single luggage quota can be difficult, especially when you consider all the warm clothing you will need when visiting Finland in winter. Send My Bag can help. Whether it’s your own pair of cross-country skis, bulky camera equipment for capturing the spectacle of the Northern Lights, or simply a suitcase that’s packed full and you don’t want to leave behind, we can pick up your bags right from your home and transport them to your accommodation anywhere in Finland. Even if you simply don’t want the hassle of waiting around at the check-in desk or the baggage carousel, Send My Bag can help you out. Our service is also great for students who are relocating for their studies and want to take daily necessities and home comforts with them. We can send all sorts – clothing, books, DVDs, writing materials, and much more. Sending your luggage and boxes to Finland with Send My Bag is an excellent option if you are going on holiday to Finland and you need to bring lots of clothing or sporting equipment with you. It’s also a great solution for students relocating to Finland who need to bring enough of their possessions with them to set up home in Finland for a term, or longer. Sending your luggage to Finland with Send My Bag means you can bring many more of your favorite things with you than you could on the plane. To find out more about sending luggage to Finland, visit our ‘How it works’ page, or our ‘FAQs’. You can enjoy golfing in Finland between May and September. There are around 100 courses for golfers to choose from, including Kytäjä, Linna and Viipurin. If you want to try out some of these courses, it’s easy to do so using your own clubs by sending them to Finland with Send My Bag. This way, you can also avoid oversized baggage fees from your airline. Read more about how to send golf clubs with Send My Bag, including how best to package your golf clubs. Finland is a great location for a cycling vacation. It has six major cycling routes, varying from 157 miles to 593 miles. You can enjoy your break all the more by using your own bike, rather than renting one. You can send your bicycle to Finland with Send My Bag. This is much easier than checking your bike into the hold of your plane. You will avoid oversized baggage fees and won't have to carry the bike to and from the airport. You can then have you bike picked up again from your final hotel. Your bike will need to be taken apart and properly packaged before being sent to Finland. Check out our information on bike shipping to learn more. Finland is a popular ski destination, with well-loved resorts including Iso-Syote, Levi, Pyha and Ruka. If you are going to Finland for a skiing trip, you don’t have to rent skis once you get there. Instead, you can bring your own skis with you by sending them with Send My Bag. This way you will avoid oversized baggage fees and will save yourself the hassle of dragging your skis on to public transport. You can read more about ski shipping and find out how to safely package your skis for transit. If you are relocating to Finland to live there permanently, you will have to consider international removals to Finland to bring all of your possessions with you. Make sure you choose a reputable removal company and pack everything up well before you hand your items over to the movers. Finland is an attractive location to spend time studying, whether as part of a year abroad or for a full degree programme. Finland has a number of good universities to choose from, such as the University of Helsinki, Aalto University and the University of Turku. If you are a student moving to Finland, you will need to bring a lot of things with you, such as your course textbooks and many other everyday items, like fiction books, clothes and DVDs, so shipping your possessions is a handy option. Read more about student shipping on our student removals page and find out how to receive your student discount. Sending a parcel to Finland with Send My Bag is very useful if you realise you have left some items at home. You can just ask a friend or family member to put the forgotten items in a box and send them on to you in Finland. Or, friends can send you care packages and gifts. Just make sure they are aware of any restrictions on sending brand new items (see below). When sending a parcel to Finland, choose a sturdy box and tape it up well so nothing gets damaged in transit. Find out more about sending a parcel and learn what you can send with Send My Bag and how to package your items. To send large bulky items you could try air freight. This type of service normally takes one to two days, making it a speedy option. But, it can be quite expensive, depending on the size of your item(s). You will likely have to pay for the services of a customs agent to handle customs clearance for you, and you will need to consider how to get your items to and from the airport. The price could, therefore, quickly mount up. If you send internationally by air freight to Finland your items will likely arrive at one of the major airports, such as Helsinki (Vantaa) Airport, Turku Airport or Vaasa Airport. Instead of air freight, you could choose sea freight, or container shipping, to move large items like a cooker or an armchair to Finland. Since sea freight can take a number of weeks, it is a good option if you don’t need to receive your items immediately.This option can be less expensive than air freight, but you will still need to pay for the services of a customs agent and will need to arrange how to get your items to and from the ports. 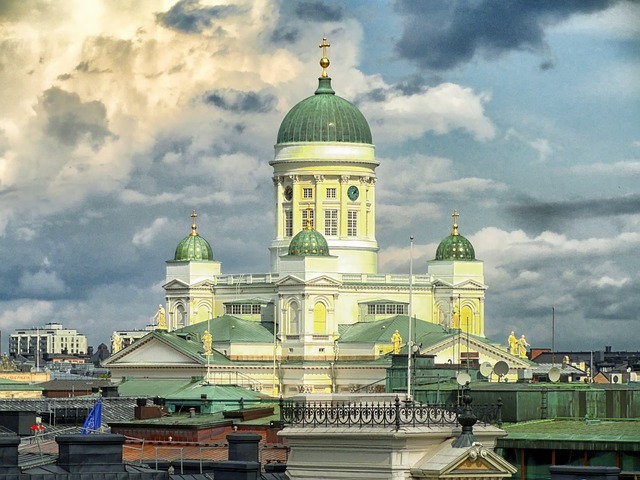 When using container shipping to Finland, your items will arrive at one of the major ports, such as Helsinki or Kotka. If you wish to ship goods to Finland, you need to be aware of any customs duties and taxes you need to pay, due to your items being brand new and not used personal effects. Also make sure you know what items are restricted and which are entirely forbidden from being shipped to Finland. The bag was delivered on time which was great and the whole process was very nice and easy. Shipments of personal effects will require a copy of the owner’s passport, which is uploaded to their Send My Bag account after placing the order. In order to complete customs clearance, Finnish customs may also request further information, and our courier partner in Finland will contact the consignee directly to request this if required. If they are unable to reach the consignee or do not receive the additional information required immediately, storage charges may be incurred. The consignee should therefore ensure they provide a local Finnish contact number that they can be reached on. Given that most countries offer a generous duty-free allowance for personal effects, the majority of Send My Bag shipments worldwide will not be stopped by customs officials. The majority of countries view Personal Effects as used items that have been in the sender's possession for 6 months or more. If your bag is checked by Finnish customs and is found to contain brand new or commercial items, you may need to pay customs duties and taxes. This means you need to be aware of potential customs duties when sending Christmas presents. You should follow any advice given by Finnish customs and attach all necessary documentation. To show that your shipment is made up of personal effects, you will need to complete a brief packing list online, with entries to be made as follows: "3 x Cotton Blouse, 4 x Pairs of Leather Shoes, 3 x Cotton T-shirt", and so on, rather than as "10 x Used Clothing". Customs processes and allowances do vary by country and as such we advise all travelers to take 5 minutes to check how their personal circumstances and what they are sending will be assessed under Finnish customs regulations. In the North of Finland you can experience continuous darkness during winter, with around 2 months where the sun never rises above the horizon. In the same regions during the summer, you’ll find midnight sun. And, Finland is renowned as one of the best and most accessible countries to view the Northern Lights. The main cities for tourism in Finland are Helsinki ‒ the capital and largest city, which receives visitors year round ‒, as well as Jyvaskyla, Tampere, Turku, Oulu, Rovaniemi and Porvoo. Helsinki is a maritime city and is a popular place to visit around the Holidays to see the sparkling lights and to attempt to walk on the frozen sea, with caution! The countryside of Finland is famed for its beauty and numerous activities to take part in. Aside from seeing the Northern Lights, during the winter tourists can visit the large snowcastle and Ice Hotel in Kemi, enjoy reindeer sleigh trips, and ride on dog sleighs. Winter sports are, of course, very popular in Finland and most visitors enjoy both downhill and cross-country skiing, as well as ice hockey, ice yachting, ice skating and ice fishing.